Sunday marked the thrilling conclusion of the X-Fest II, with the top men’s and women’s WPH pros aiming for the prestigious X-Fest titles and WPH yellow jerseys. With all of the WPH pros playing in three divisions, the focus for the stars was not just on the court, but also on the X-Fest II scoreboard that calculated the overall points. With all of the overall scoring scenarios, players knew they had to just win matches to be in contention for the X-Fest II title. Alfredo Morales entered the 3-Wall Big Ball singles seeded 7th and in search of his first WPH Outdoor singles title. Morales stormed to his fifth WPH Outdoor singles final final, trouncing each of his four opponents in two games en route to the final, including WPH Outdoor #2 Timbo Gonzalez in the semifinals. WPH Outdoor #1 Juan Santos also cruised to the final with impressive quarterfinal and semifinal victories against Lobo Valencia and Shorty Ruiz, respectively. Morales would not be denied in his fifth trip to the finals, as “El Hombre” controlled the action in game one against Santos by using his spectacular lob and drop kills to stun Santos, 12-4. Morales continued to dominate the action in game two, building 5-3 and 9-6 leads. Morales closed out the match in style with a left corner kill and earned his first WPH Outdoor singles yellow jersey. Congratulations to El Hombre! 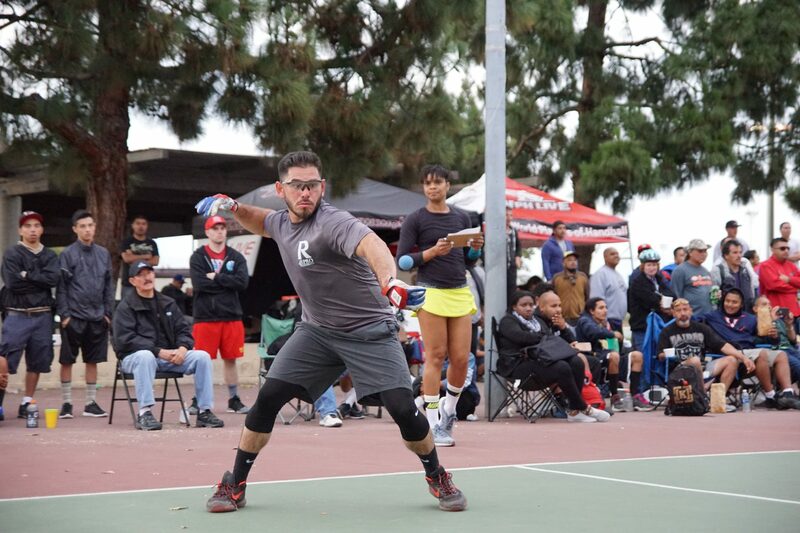 Timbo Gonzalez and Shorty Ruiz arrived at the X-Fest II on the heels of winning the last two WPH Outdoor V doubles titles, having won the 1-Wall doubles in Downey in March and the 3-Wall doubles title at the Vegas Lte. 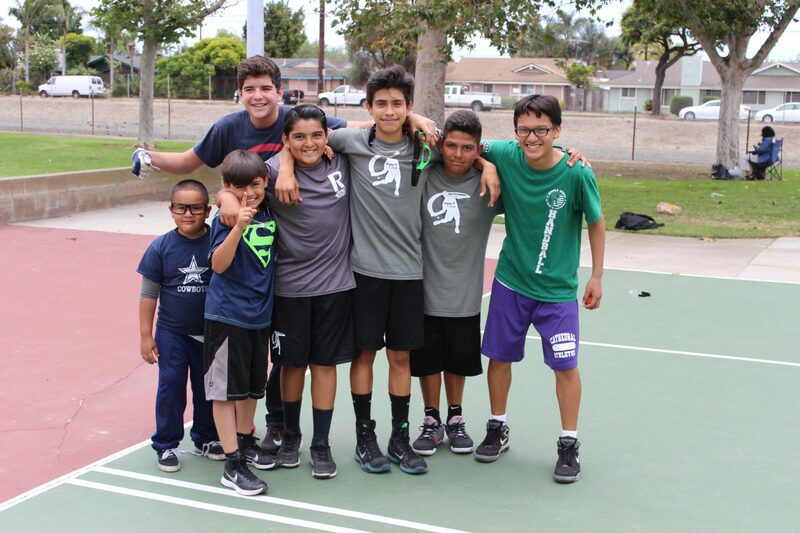 Team Gonzaruiz cruised to the X-Fest II 1-Wall final with incredible handball, as the top seeds defeated Samzon Hernandez and Chava Cordova in the semifinals. 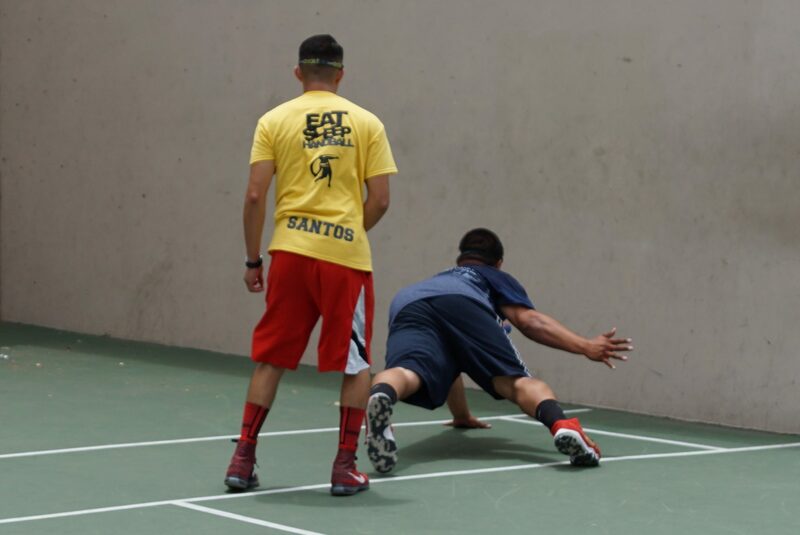 Juan Santos and Alfredo Morales survived match point in their semifinal, defeating their OC neighbors Sal Duenas and Kevin Gonzales 21-20 to advance to the final. Team Gonzaruiz raced to a 17-7 lead in the one game to 21 1-Wall doubles final, but Santos and Morales stormed back, scoring 10 straight points to tie the match at 17. Gonzalez and Ruiz took a timeout and reversed the momentum, scoring the final four points of the match to take their third doubles title in as many events. Mando Ortiz entered the small ball singles as the #3 seed and advanced to the final with a close tiebreaker victory against David Fink in the quarterfinals and a two-game sweep against WPH Outdoor #1 Juan Santos in the semifinal. Timbo Gonzalez authored one of the greatest upsets in WPH Outdoor history, ousting X-Fest defending champion and 7-time 3-Wall national champion Sean Lenning in the quarterfinals. Gonzalez dropped game one, evened the match by winning game two, and found himself trailing 7-0 in the tiebreaker before he stepped in to serve. Gonzalez scored 11 of the last 12 points of the match to stun Lenning. Gonzalez defeated Samzon Hernandez in the semifinals to advance to the final. Ortiz played aggressively in the final, serving power hops and first-striking with both hands. 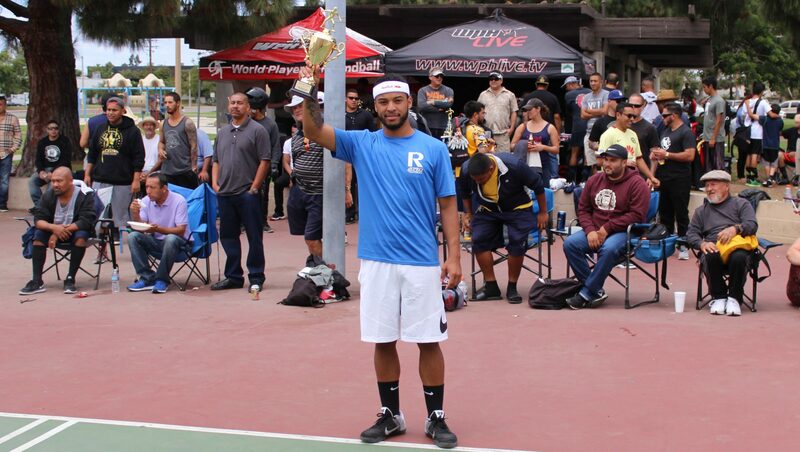 Ortiz cruised in game one and appeared even more comfortable in game two in winning the small ball bracket and clinching his first WPH Outdoor title. 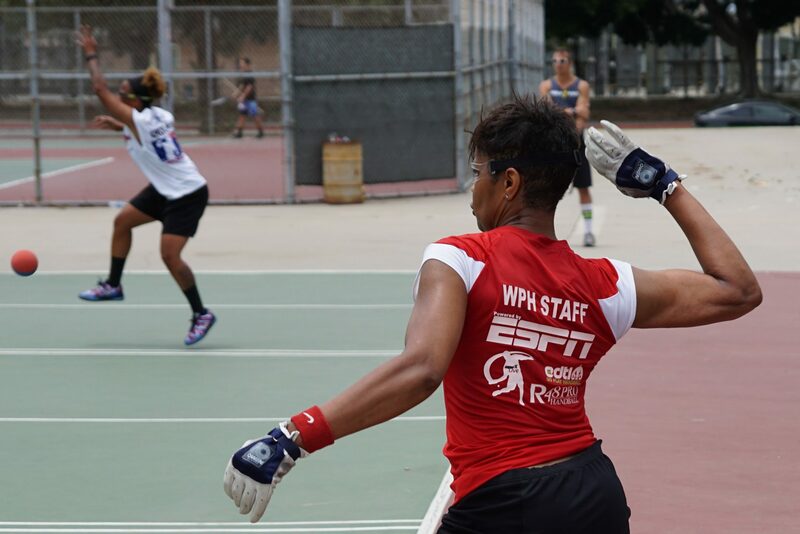 Catriona Casey advanced to the small ball singles final with a two-game sweep against Tanisha Groomes, while Ciana Ni Churraoin ousted former 3-Wall national champion and 10-time USHA 1-Wall national champion Tracy Davis in the bottom bracket semifinal. Casey was nearly flawless in the final, driving virtually all of her serves to the back line and hitting kills or passes on her next shot. CNC was never able to impose her game on Casey throughout the match, as Casey clinched the X-Fest Small Ball Women’s singles for the second consecutive year and keep her undefeated 3-Wall small ball record intact. Tansha Groomes and Catriona Casey met for the second time in 3-Wall big ball doubles in the X-Fest II final, with Groomes winning their first encounter at the X-Fest I in a tiebreaker. Groomes dominated game one and appeared to be on her way to defeating Casey for the second time in as many meetings in 3-Wall big ball singles, but Casey surged in game two, building a 10-0 lead and forcing a tiebreaker. Groomes reversed the momentum in the tiebreaker, playing close to perfect handball throughout the 12-point decider. Groomes served to the back line and fly-killed the next shot to score seven of her 12 points in the tiebreaker and relied on her precise rally shots to win the other five points. The semifinals of the 1-Wall Big Ball Women’s Singles produced the two most dramatic matches of the event, as Ireland’s top two outdoor stars battled the WPH Outdoor #1 and the living legend of outdoor women’s handball. The simultaneous women’s 1-Wall semifinals featured a combined 17 lead changes, as well as four simultaneous ties. What theatre! 10-time 1-Wall national champion Tracy Davis faced defending X-Fest Women’s champion and WR48 #1 Catriona Casey in the upper bracket semifinal, while WPH Outdoor #1 and 12-time WPH outdoor women’s singles champion Tanisha Groomes faced the most recent WPH Outdoor women’s champion Ciana Ni Churraoin. Casey jumped to a 7-0 lead before Davis stepped into the service box, while just a few feet away Groomes was in complete control, leading 12-5. Davis demonstrated the 1-Wall prowess that has seen her rewrite the 1-Wall record books, storming back to lead 20-16. Groomes continued to pad her lead on the adjacent court, building a seemingly insurmountable 18-11 lead in the one-game match to 21. Davis missed a cross court pass by two inches on match point to hand Casey the serve and the WR48 #1 took advantage. Casey scored four consecutive points before a side out, but quickly returned to the box with a left-handed return of serve rollout in the right corner. Meanwhile, Ni Churraoin was mounting her own comeback, tying her match at 18. Casey served for the match at 20-20 but inexplicably hit an overhand rally-shot wide. Davis used the 1-Wall “Essence,” killing the ball in front of herself and standing still to legally block Casey out on match point. Ni Churrain made it 10 straight points to end the match against Groomes to setup a Sunday final with Davis. Timbo Gonzalez won the Men’s X-Fest II by virtue of finishing first in the 1-Wall Big Ball Doubles, second in the 3-Wall Small Ball Singles and third in the 3-Wall Big Ball sinlges. 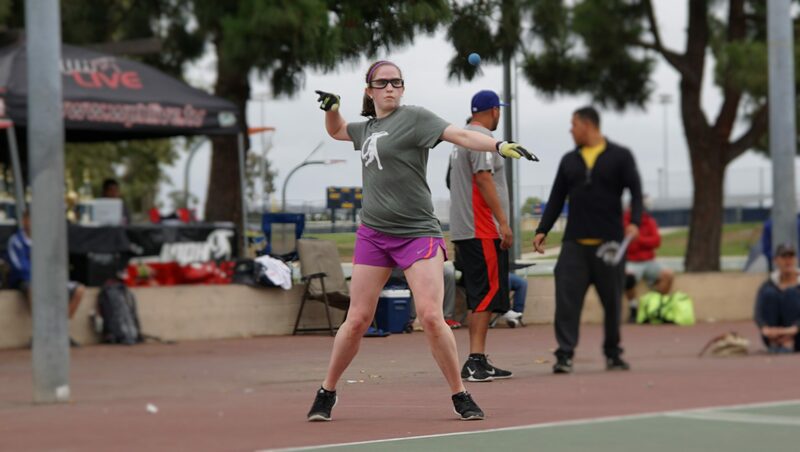 Catriona Casey repeated as the X-Fest Women’s champion by finishing first in the 3-Wall Small Ball singles, second in the 3-Wall Big Ball singles, and fourth in the 1-Wall Big Ball singles. Congratulations Timbo and Catriona! The X-Fest II came to life because of the tireless efforts of so many WPH staffers and volunteers, all of whom worked 18+ hour days to present the one-of-a-kind event. 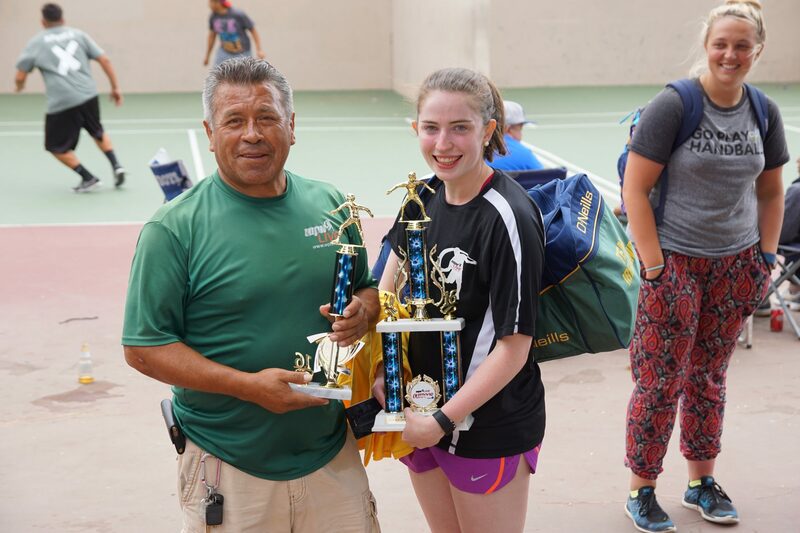 Thank you to Alexia Lozano and Albert “Alley Cat” Martinez for running the junior tournament desk, Carlos Villegas for keeping the park clean and helping behind the desk, Tom and Javi Flores for running the tournament desk, Ciana Ni Churraoin for helping to coach the JR WPH Clinic, Shorty Ruiz for helping to setup and referee, Dave Vincent and David Fink for organizing, promoting and covering the event, and to all of the players and parents of juniors for participating and putting on a great show. Thank you! The X-Fest II was not broadcast, but log onto wphlive.tv, Like the World Players of Handball on Facebook, or follow the WPH on Twitter @dfwph and @wphlive for all of the updates from the X-Fest II and all of the handball news from on and off the court! 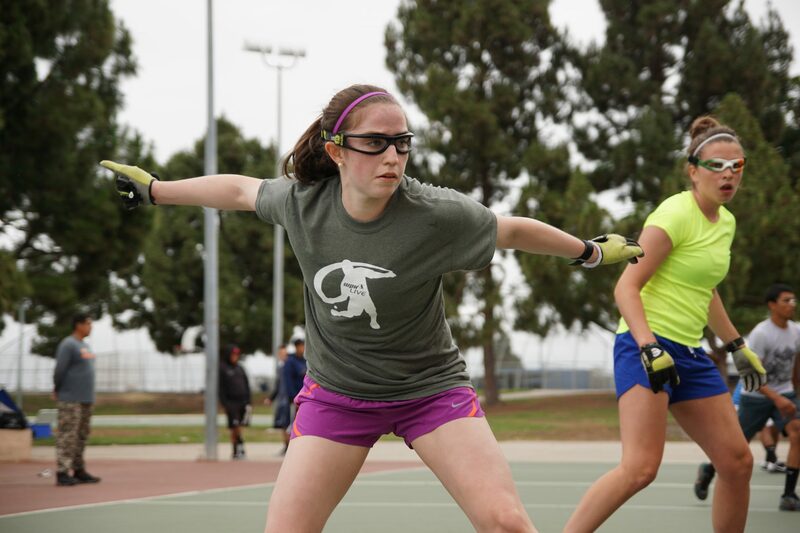 The World Players of Handball is a non-profit foundation aiming to grow the game of handball through innovation and inspiring the next generation of players through junior clinics with certified WPH coaches, junior tournaments and the Race 4 Eight tour.